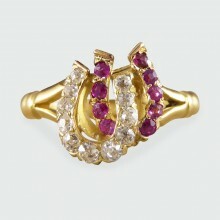 Complete your look with this double horseshoe ring set with ruby and diamond stones. Crafted in the .. 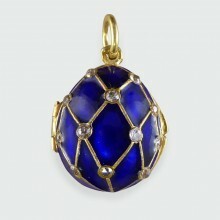 This bold vintage ring features a large lapis lazuli stone surrounded by twenty two diamonds. Set on.. 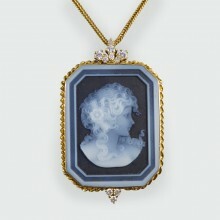 This wonderful pendant features a ladies profile portrait in banded agate stone. This is set in a de.. 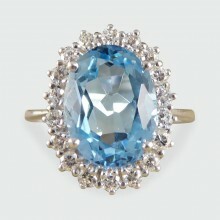 This contemporary ring features a glorious 3.60ct Topaz centre stone surrounded by diamonds totaling.. 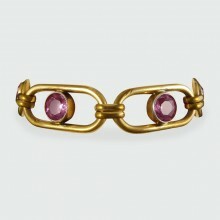 This bracelet was created in the Edwardian era and has been crafted in pink paste and rolled gold.&n.. 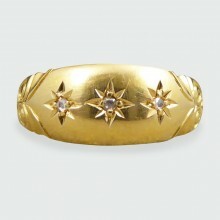 This antique band features three diamonds in star mounts in an 18ct gold band. 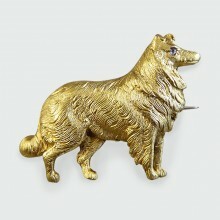 With gorgeous carved .. 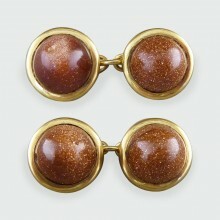 These enchanting goldstone cufflinks were made in the Edwardian era and they are set in 18ct yellow .. 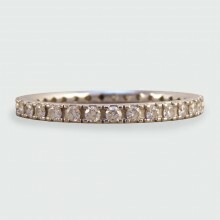 This sparkling half eternity ring features thirteen round brilliant cut stones. Set in 14ct White Go.. 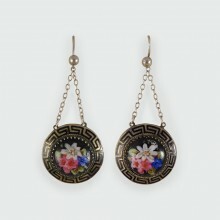 These Late Victorian Porcelain Earrings feature a colourful floral motif. 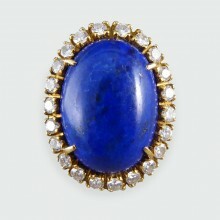 Perfect for an antique ins.. 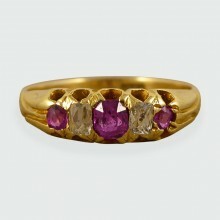 This Classic Late Victorian Five Stone Ruby and Diamond Ring is modeled in 18ct Gold. 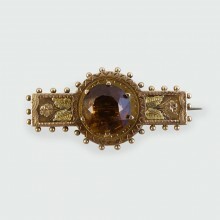 This piece has..
Victorian Two Colour 9ct Gold Brooch set with a Stunning Smoky Quartz Condition: Ver.. 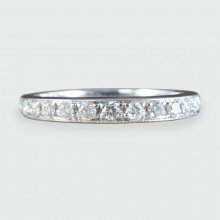 This gorgeous diamond full eternity ring is set in 18ct white gold. Featuring thirty two diamonds, i.. 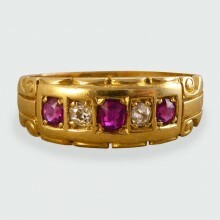 This classic antique ring has been set with alternating Rubies and Diamonds. Set in the Late Victori.. 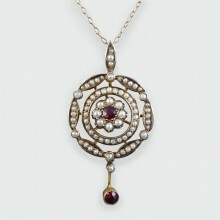 Exquisite Edwardian Pendant featuring two divine Spessartine Garnets, surrounded by Seed Pearl detai..
Late Victorian Diamond 15ct Gold Dog Brooch Condition: Very Good, slightest signs of wear ..